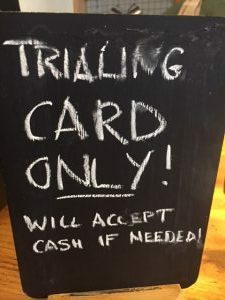 A fashionable cafe in the centre of Cardiff has become one of the first businesses in Wales to trial a card-preferred payment system, it has emerged. The Little Man Coffee Co. has said it will only accept cash if a customer wants it. It comes amid signs some countries across the developed world have started moving towards a cashless society. 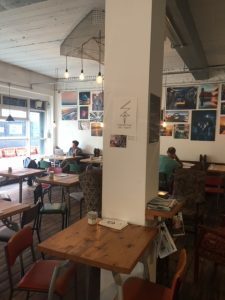 The owner of the cafe, Rob Cooper told The Eye: “I just feel it’s a logical thing to do. “Any business adjustment that will reduce time spent on non customer-focused activity is a no brainer – especially for small businesses that are already over-burdened with ‘admin’; we want to have fun with great coffee! “We will never refuse to take cash payment – we aren’t trying to be awkward, sometimes we give people a drink when they don’t have cash OR a card! “But our sales are already 60/40 in favour of card payments – so cash is in the minority for us and has been for over 18 months”. In Europe, Sweden appears to be winning the race to pay by card or mobile, and most banks have stopped allowing customers to withdraw or pay in cash over-the-counter. Only a quarter of people living in Sweden say they use cash at least once a week and a boom in mobile, card and online payments has resulted in the proportion of cash transactions in the retail sector dropping from around 40 per cent in 2010 to 15 per cent today, according to the central bank. Cafes such as ‘Little Man’ also appear to be central in the shift towards paying by card. 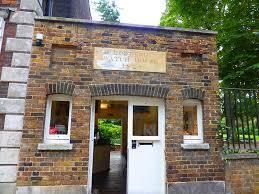 Since the start of the year, the Watch House in London has been a cashless café. 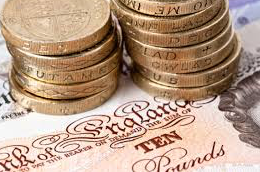 Banning cash in businesses like the Watch House not only chimes with the feel of modernity in certain firms, it has also saved time and money. Crucially, it has also made them safer. “Late last year,” said Ms Burgess, “we had four break-ins within two months, where thieves targeted our cash takings. In America too it has started to become almost commonplace, and payment by cards or on mobile phones is in the ascendancy. Three years ago it was reported that big banks, retailers and start-ups companies had begun to adopt Apple‘s mobile payments platform. SunTrust, Barclaycard, USAA, TD Bank and Commerce Bank were among the financial companies that have signed up for Apple Pay. 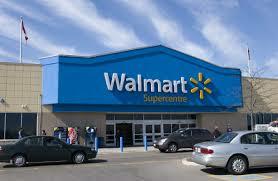 Retail companies that accepted the service included Staples and chain grocers such as Winn-Dixie and Albertsons. A consortium of retailers, including Walmart, Rite-Aid and CVS, were also working on their own mobile payments platform. 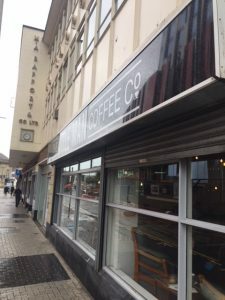 The Little Man Coffee Company in Cardiff could be part of a trend. Tomorrow – a frontrunner to take over as the next First Minister of Wales comes under fire from senior figures in his own party.